In the market for a laugh? Check out this week's lineup of comedies showing on the big screen in and around New York City. 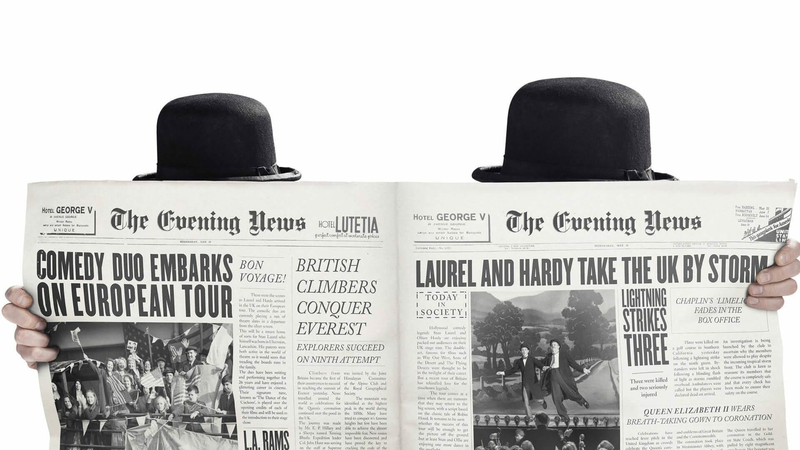 With a critical approval rating of 90 percent and an audience score of 92 percent on Rotten Tomatoes, Stan & Ollie has been getting attention since its release on December 28, with a consensus that "Stan & Ollie pays tribute to a pair of beloved entertainers with an affectionate look behind the scenes -- and a moving look at the burdens and blessings of a creative bond." Want to see for yourself? It's playing at Angelika Film Center & Cafe (18 W. Houston St.) and City Cinemas 1, 2 & 3 (1001 Third Ave.) through Friday, January 11. Click here for showtimes and tickets. With a critical approval rating of 81 percent and an audience score of 92 percent on Rotten Tomatoes, Green Book has racked up generally positive reviews since its release on November 16. The site's critical consensus notes that "Green Book takes audiences on a surprisingly smooth ride through potentially bumpy subject matter, fueled by Peter Farrelly's deft touch and a pair of well-matched leads." You can catch it at AMC 19th St. East 6 (890 Broadway) through Thursday, January 10; AMC Kips Bay 15 (570 Second Ave.) through Thursday, January 10; Regal Union Square Stadium 14 (850 Broadway) through Friday, January 11; and Kew Gardens Cinemas (81-05 Lefferts Blvd.) through Friday, January 11. Click here for showtimes and tickets. When June Buckridge arrives at her London flat and announces 'They are going to murder me', her long-time lover and doll-cuddling flat mate Alice 'Childie' McNaught realizes that things are going to change. For June is referring to her character 'Sister George', a lovable nurse she portrays in a popular daytime serial. To make matters worse, the widowed executive at the BBC responsible for the decision to kill off Sister George - Mercy Croft is also a predatory lesbian who is after Childie and will stop at nothing to get what she wants. With a 71 percent critical approval rating and an audience score of 79 percent on Rotten Tomatoes, this 60s-era classic is a worthy candidate for your entertainment. It's screening at Quad Cinema (34 W. 13th St.) through Friday, January 11. Click here for showtimes and tickets.